‘Mary was the first to believe in her son, and in that sense was the first Christian. And in believing, she said yes to God. “Behold I am the handmaid of the Lord, let it be with me according to your word.” So we are called to believe and trust in God’s promises, and to say yes, when he calls us’. 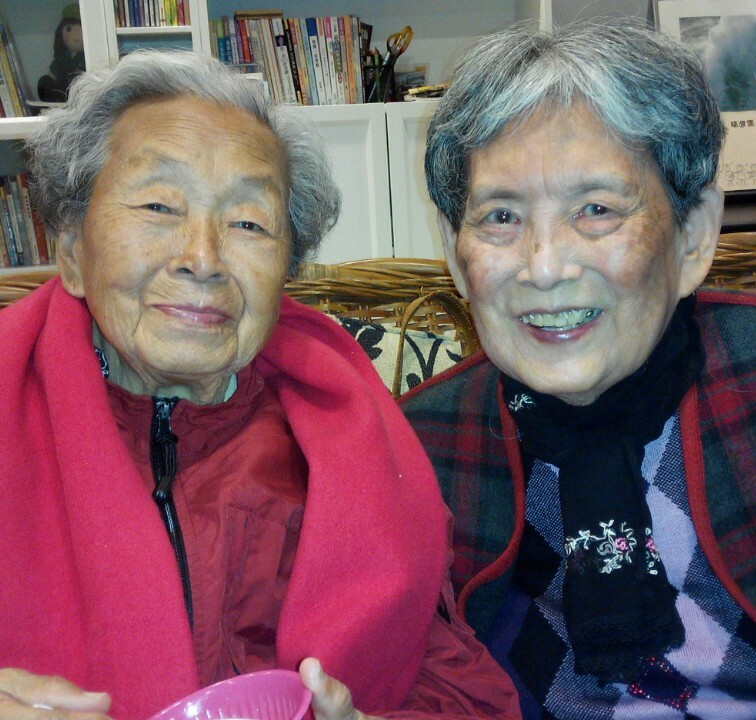 譚媽媽 & 鄭媽媽, Tan Mama and Cheng Mama, 2 wonderful ladies who long ago said YES to God, and continue to say YES to Him every day! I took this photo last night at an Advent celebration and gathering for Advent Church ~ these 2 ladies are just so lovely! Previous PostAdvent Word Global Advent Calendar 2015!Next PostWelcoming Rev. Canon Edmund Der 謝博文法政牧師 and Mrs. Margaret Der! I am really appreciating this advent wisdom, thank you.